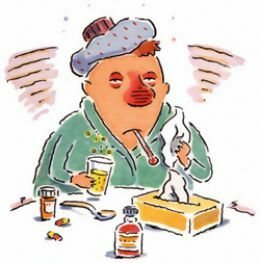 Are you someone who catches colds frequently? Do you pride yourself on “never getting sick” yet in reality you ought to own stock in Kleenex? Not everyone is blessed with a strong immune system. However, there are ways to strengthen it, especially during the change in seasons. Let’s clear up a misconception first. Weather does not make you sick. Germs make you sick. Being confined indoors most of the winter exposes you to many more germs than when you are frequently outdoors during the summer months. It is also important to note that when the weather changes, it may add stress to your immune system thereby compromising your health if you don’t put some effort into de-stressing your immune system. Wash your hands thoroughly and often. Without realizing it, you touch your face, eyes, nose, and mouth with your hands all the time. If they are not clean, you are spreading germs. When you sneeze or cough, do so into the crook of your elbow. This prevents your germs from spreading to those around you and exposing them. Ask your friends, family and co-workers to do the same. As much as you may think you are being loving, stop hugging and kissing everyone. You do not know who might be sick and this only spreads illness. Get enough sleep. When you sleep your body and immune system regenerate and repair. Stay hydrated. 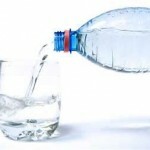 Consuming the proper amount of water keeps your immune system strong. Try to get fresh air whenever you possibly can. Even on a cold day, crack your car window just a touch to let in the fresh air and allow any germs to escape. Exercise and eat healthfully. This keeps your body in robust condition to ward off viruses. By taking time every day to focus on your health you will actually decrease the likelihood of catching a cold or virus.